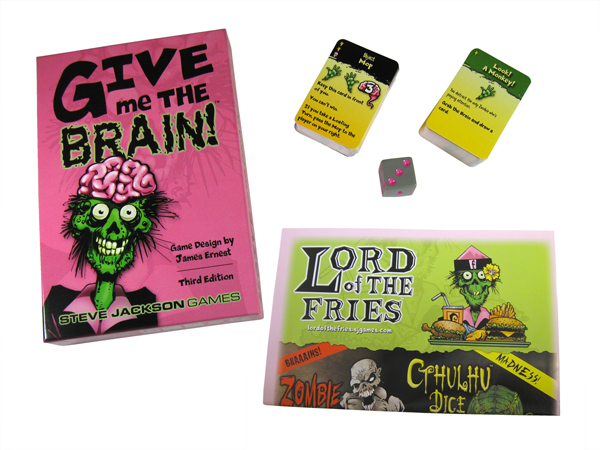 112 cards, die, and rulesheet in a 6" × 9" box. 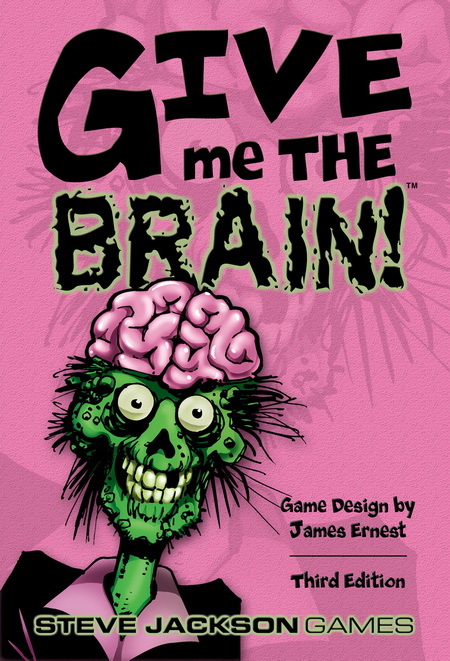 In Give Me The Brain by James Ernest (Lord of the Fries), all the players are zombies, shuffling and moaning through their horrible jobs. Whoever gets rid of all his jobs first will win. Every turn, you can do a couple of things . 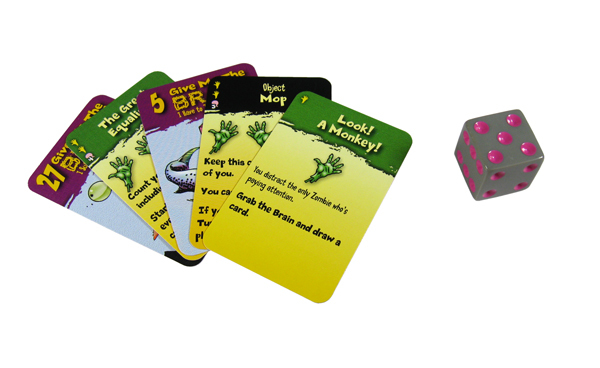 . . and, if you're sneaky, you can also push a job or two onto the other players. 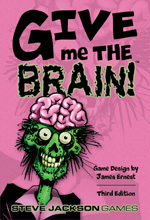 Give Me the Brain is a quick card game for 3-8 players. 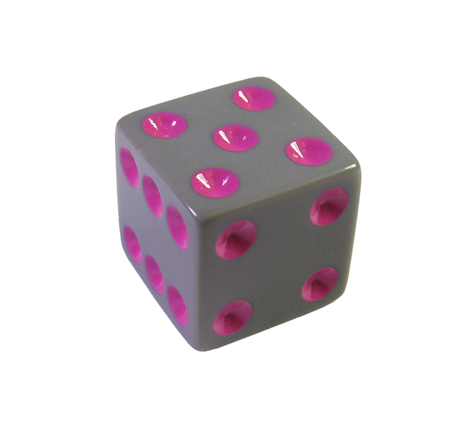 Love the game? Wear the shirt! Grab another dish from Friedey's, and maybe you can become the Lord of the Fries!